An interesting release for September is Lucan by Susan Kearney which hits stores tomorrow. It is an unusual blend of science fiction, fantasy and romance. This is the first book in a new series called The Pendragon Legacy. 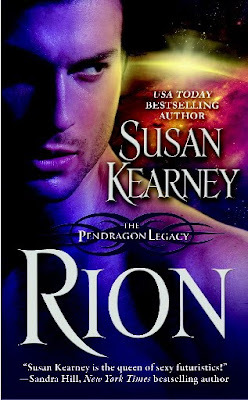 Two more books in the series Rion and Jordan are scheduled for release on November 24 and March 1 repsectively, so there isn't a long wait between books. 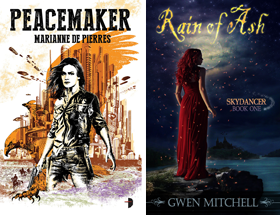 Here are all the covers for the series and blurbs for all but Jordan. A rather nice trio of covers. Also check out the snazzy book trailer for Lucan at the end of the post. You can visit Susan Kearney at her website here. Hey Dottie. Maybe you will win a copy. I'll be running a contest shortly. Thanks so much for recommending my books! Susan thanks for stopping by. I hope to do a contest for Lucan and a review very soon. Susan good to know I have company :) Anna at Hachette gave me the go ahead to do a giveaway of 5 copies which I am going to start off next week with.